The Perfect Table Runner For any Holiday or Occasion. 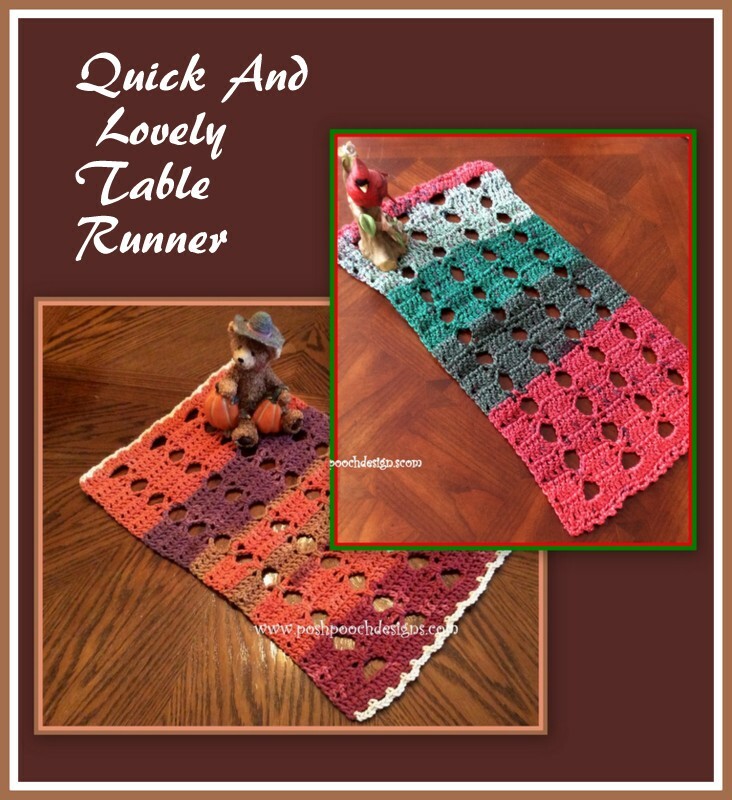 Fall table runner, like I was? The Yarn was Caron Big Cakes called Cranberry Crisp. It is a Worsted weight (4) yarn. It Looks lovely on my dinner table. For The Christmas Table Runner I used Hershnerr"s Pastry Puff Cake. It is also a WW (4)yarn. Called Holly Berry. I Love the way the yarn worked for the pattern. 3 Rows is about 2 inches for length. or more if you want the runner longer. Last Row - 1dc in each dc and ch across, For a solid Row of dc, tie off weave in your end. *ch 3, sk 2 dc, sc in the next dc* Repeat From * to * Across row, tie off and weave in the end. \Repeat on the other end. And That is how fast and easy this Crochet pattern is! And Now I am working on one in Christmas yarn.